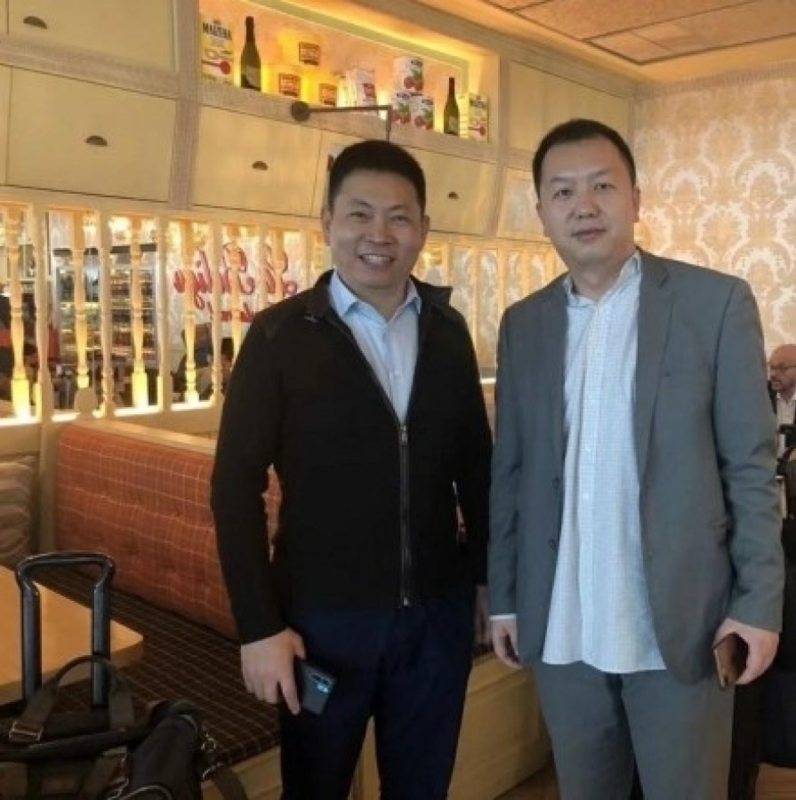 While Huawei may be navigating a challenging legal landscape, it doesn't seem to be slowing down with new product development. 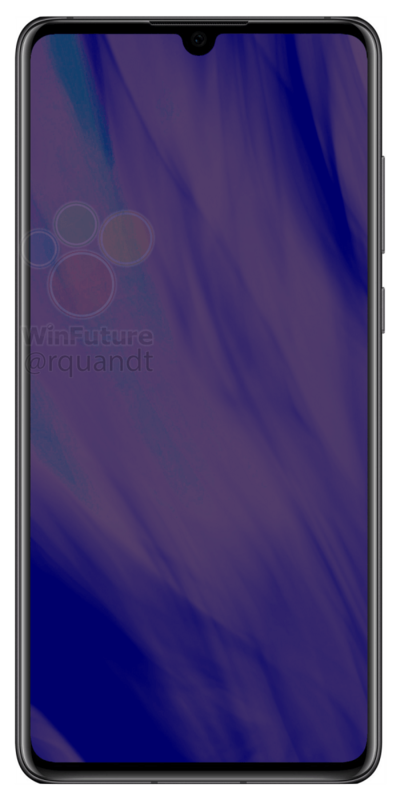 A new set renders of the upcoming P30 and P30 Pro flagships have leaked over at WinFuture, and they hint at new camera features, like 10x optical zoom and variable aperture. 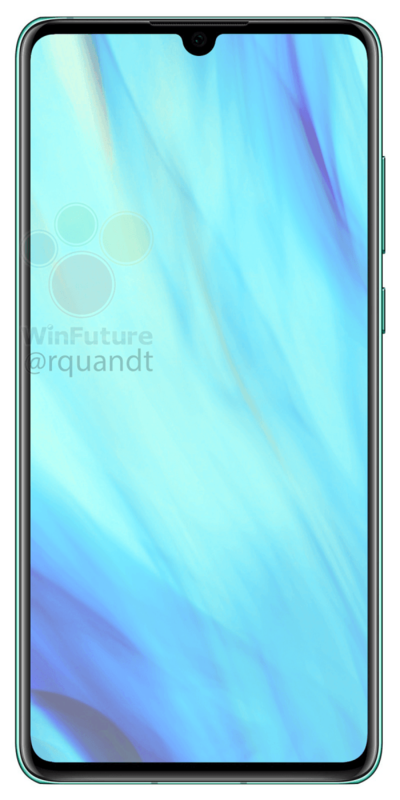 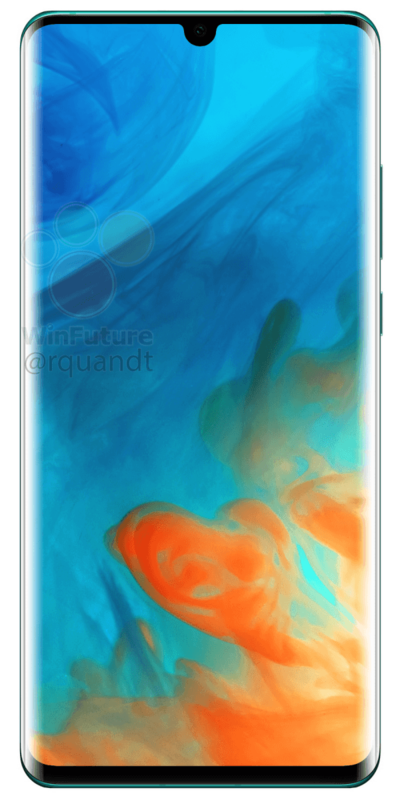 The renders show us three color options for each device — peacock blue, a darker aquamarine, and grayish-black. 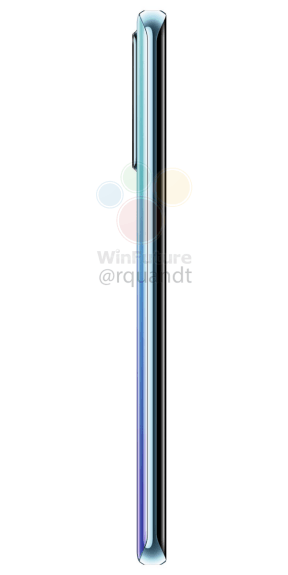 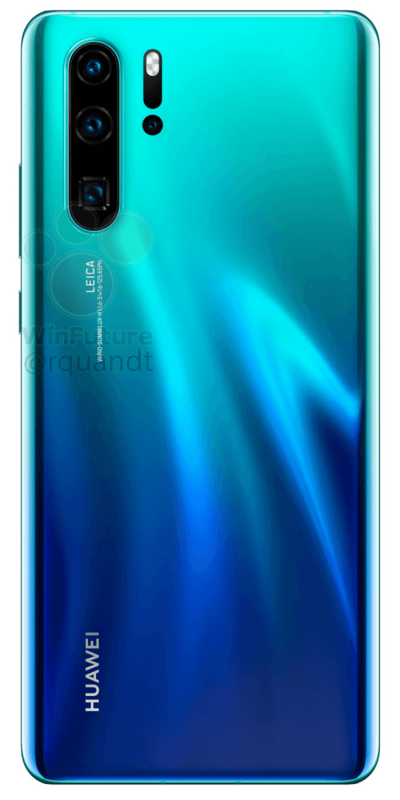 The teardrop notch and triple-camera layout are in line with the renders of the P30 we saw in January, though these renders don't show us the sides or bottom of the device. 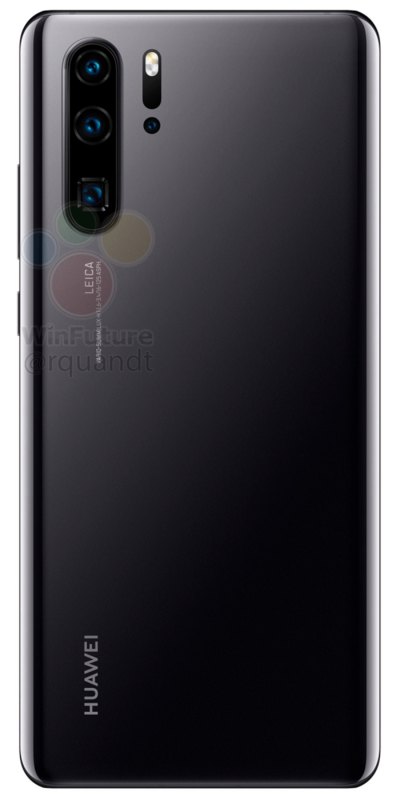 The back of the P30 render has an inscription: VARIO-SUMMILUX-H1:1.8-2.4/17-80 ASPH., meaning it has a variable aperture (which helps with different lighting conditions) of f/1.8 - f/2.4, and a focal length of 17 to 80mm (35mm equivalent). 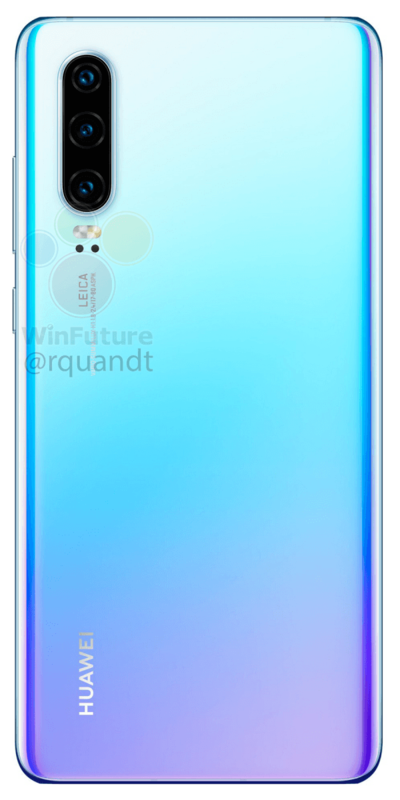 More interestingly, the back of the P30 Pro render shows a third square-shaped camera, which looks like the 10x optical zoom lens that Oppo recently showcased at MWC. This camera tech comes from Corephotonics, which was recently acquired by none other than Samsung. 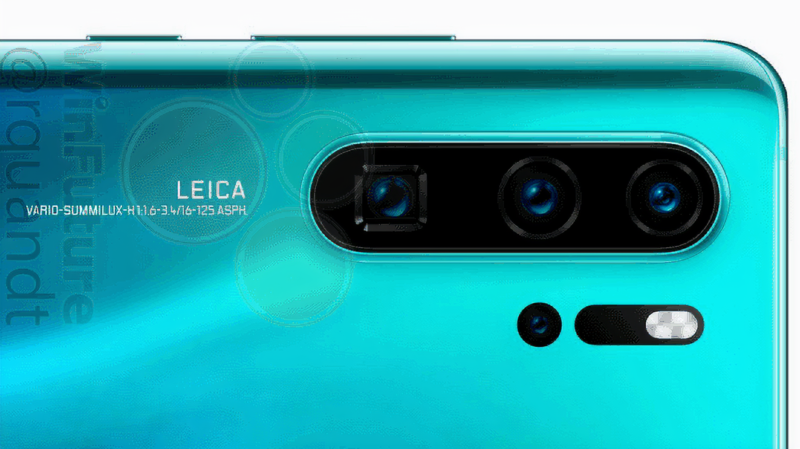 Having 10x zoom will be a sizable upgrade from the 3x optical zoom found in the Mate 20 Pro. 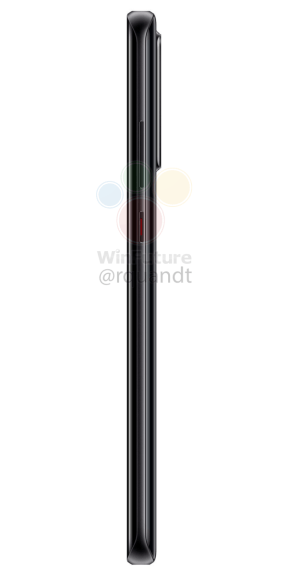 Also on the P30 Pro's back, next to the LED flash, is a fourth sensor, possibly a ToF (time of flight) sensor, used to measure depth — it can result in better autofocus, and could also power a few "AI" modes in the camera app. 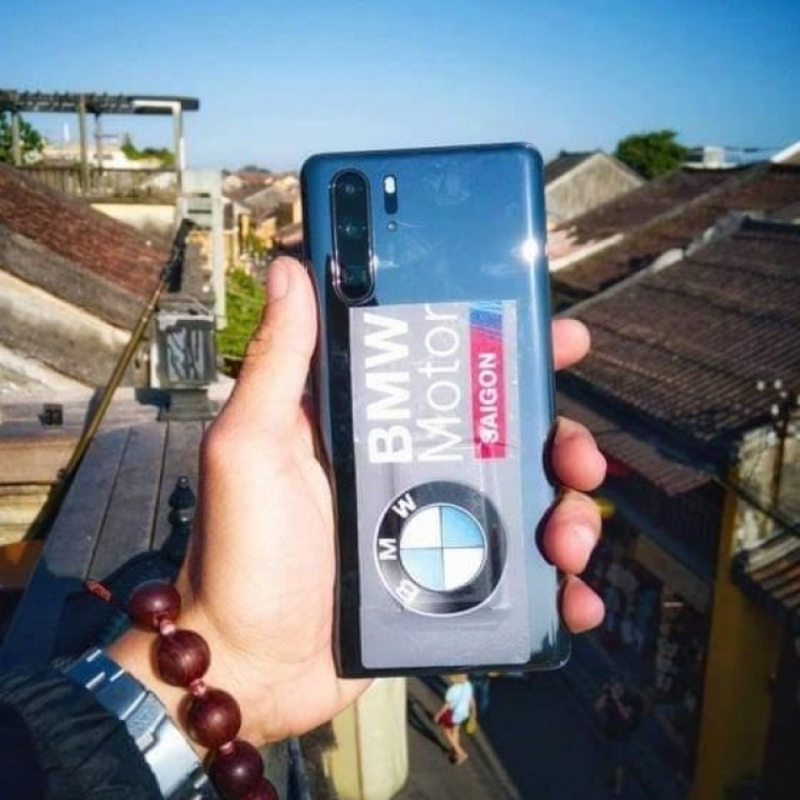 The rear inscription on the devices reads VARIO-SUMMILUX-H1:1.6-3.4/16-125 ASPH, so that's a variable f/1.6 - 3.4 aperture, with a focal length of 16 - 125 mm. 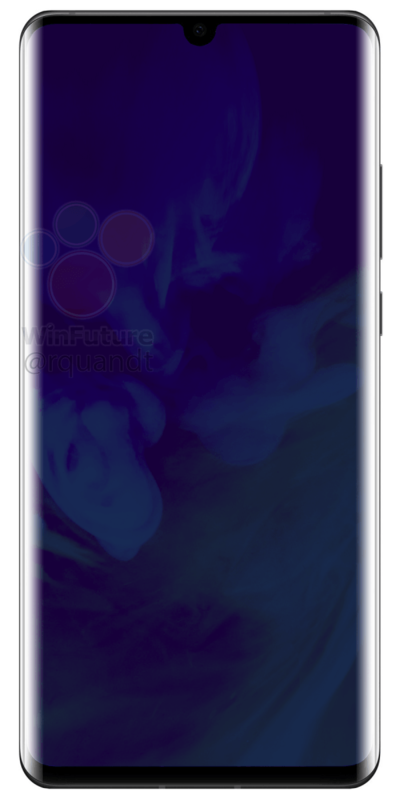 These phones didn't launch at MWC as we had theorized earlier, but we now know they will be launching on March 26th. 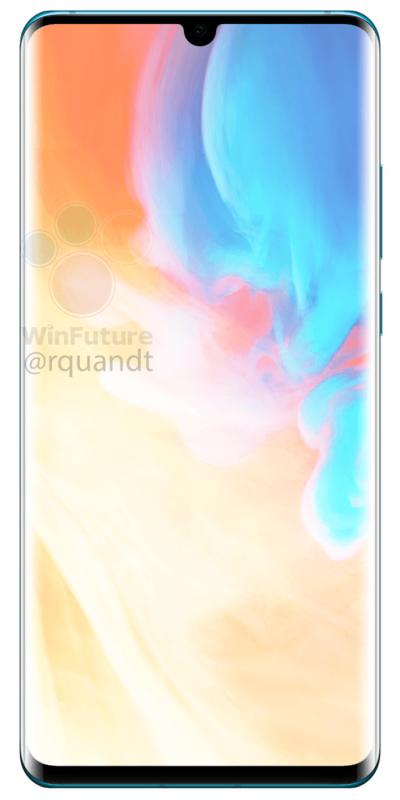 More competition in the camera segment is always welcome, but I can't help feel a twinge of sadness knowing these likely aren't headed to US shores anytime soon. 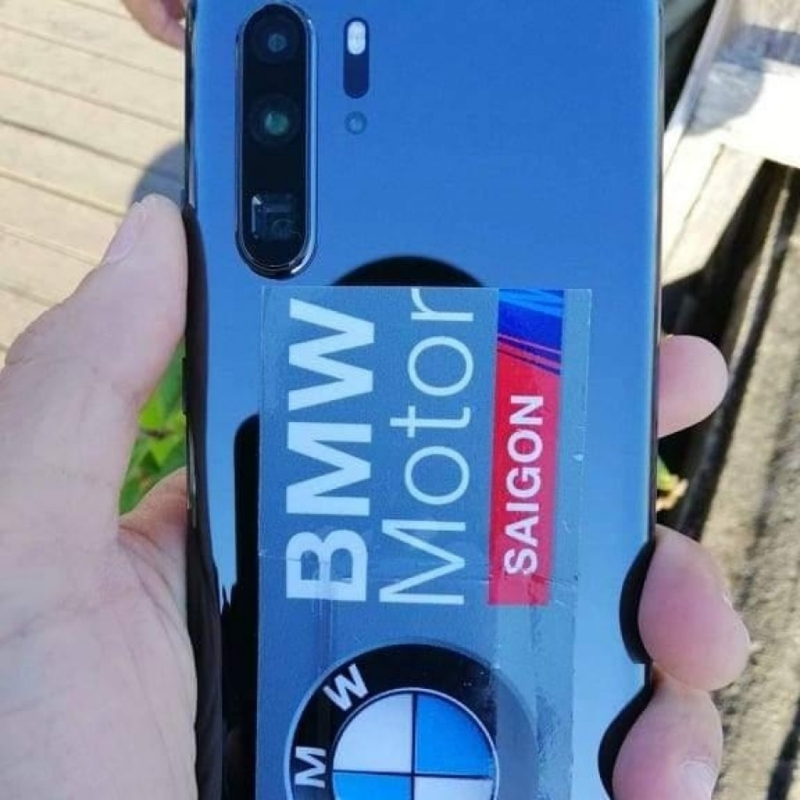 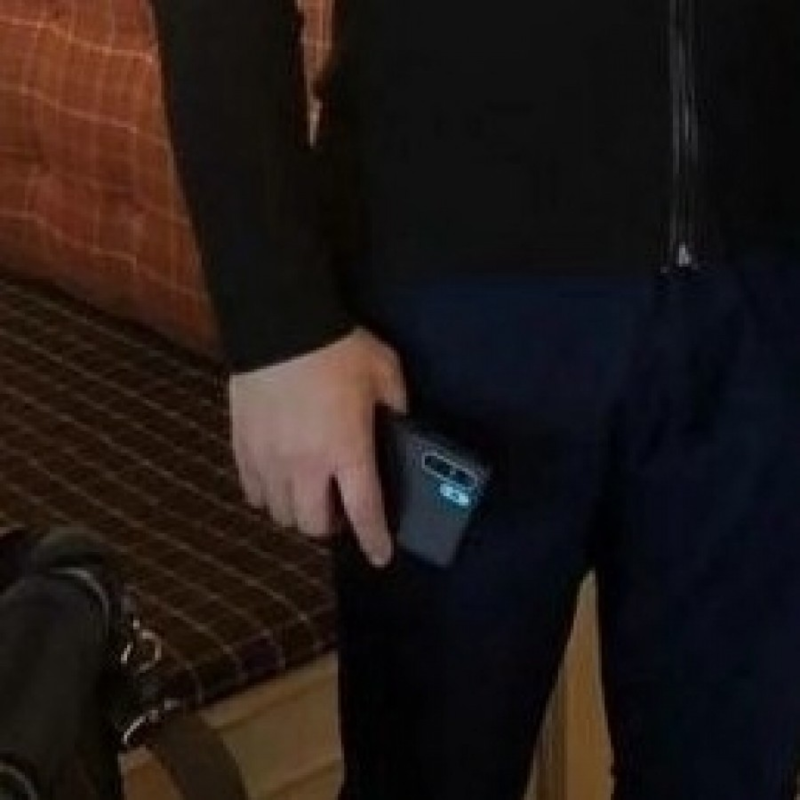 Trump's not the only one making news in Vietnam — the Huawei P30 Pro has been spotted out in the open, possibly in Saigon (now Ho Chi Minh City). 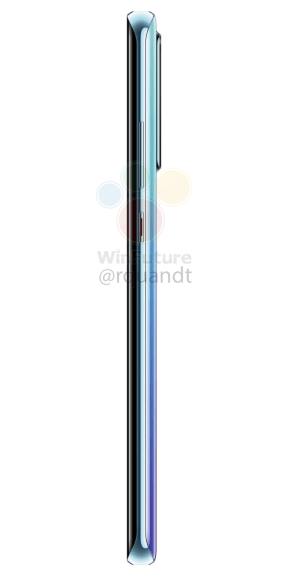 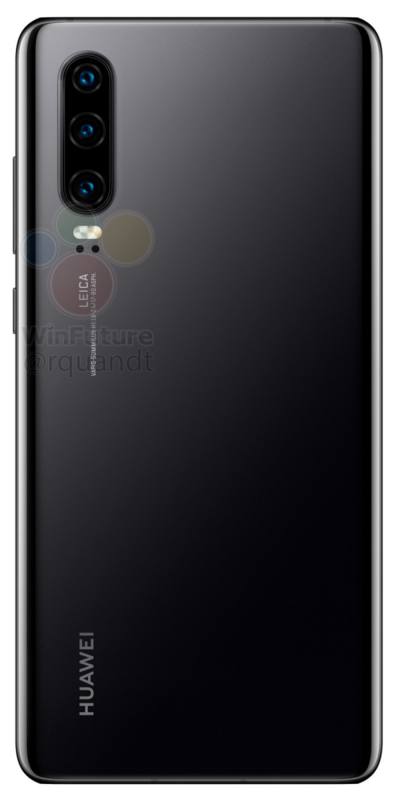 In a series of leaked images, you can see the distinctive camera setup of the device and even the square lens, which is likely a 10x zoom. 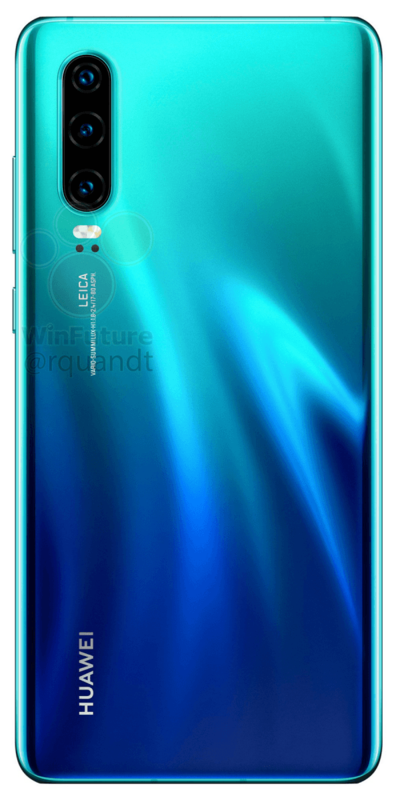 Clement Wong, a marketing executive at Huawei, revealed to AndroidCentral that the P30 Pro will feature a periscope-like zoom camera with "super-zoom" capabilities. 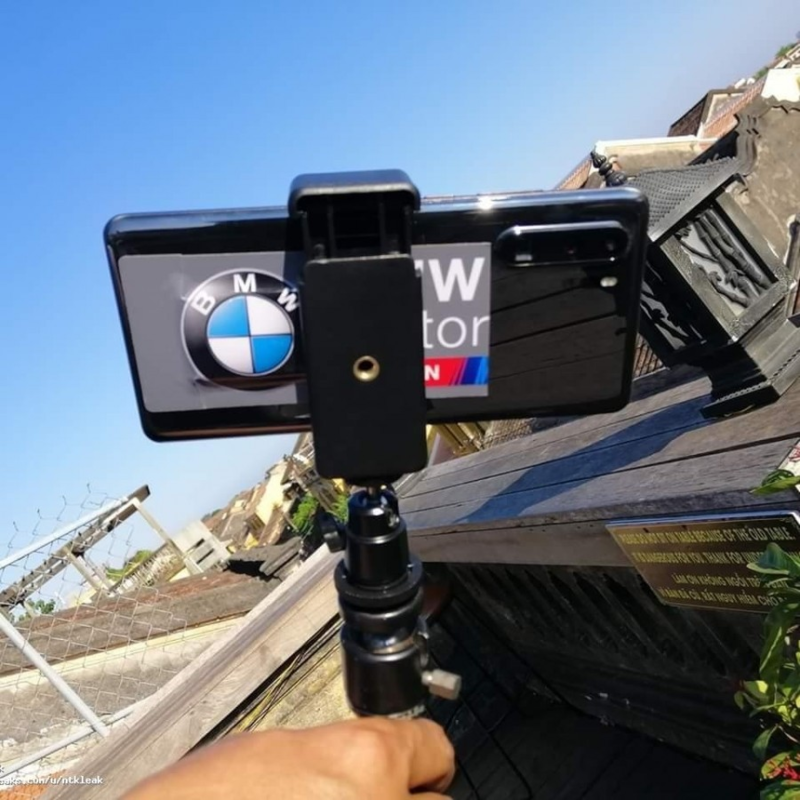 While he didn't confirm the 10x zoom spec, he did describe it as "revolutionary technology to rewrite rules of photography" and pointed to a picture recently uploaded on Weibo (Chinese-Twitter) by Huawei CEO Richard Yu. 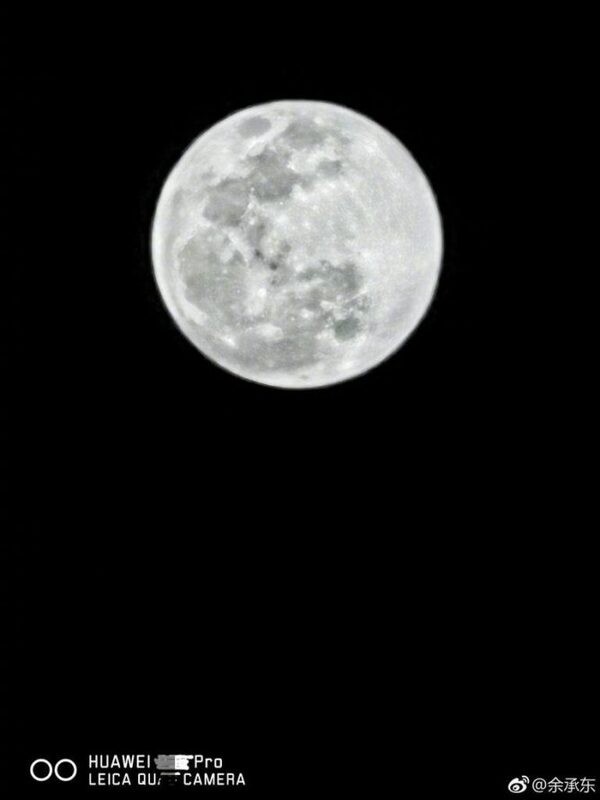 The image was apparently shot hand-held and only processed on the device —in it, you can see the full moon, with an impressive amount of detail for a smartphone camera. 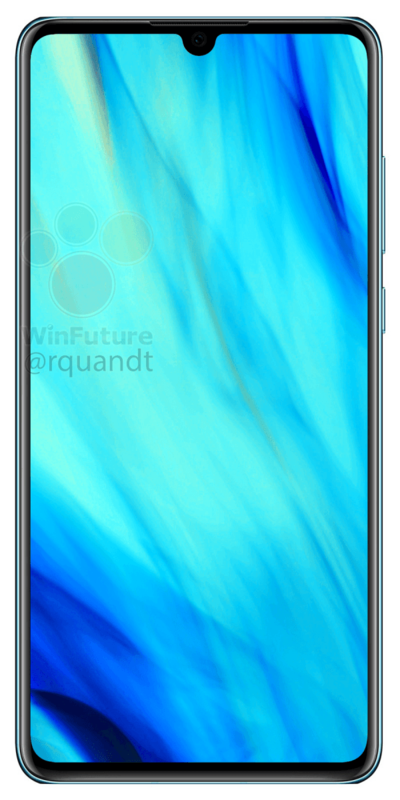 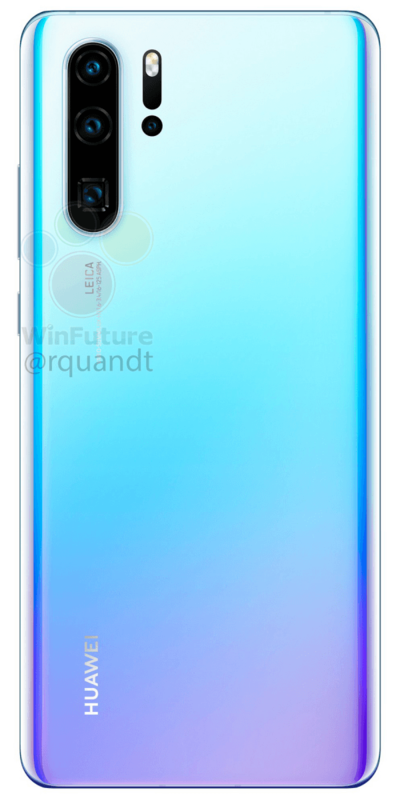 There isn't any revealing EXIF data, but the watermark mentions the phrase "quad camera," which doesn't leave much to the imagination.